Absolute care for your little one! 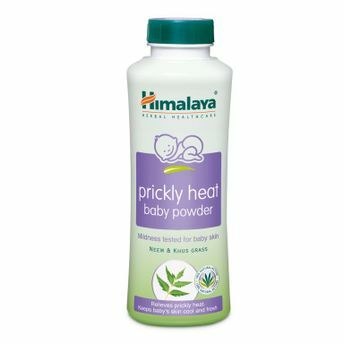 Himalaya's Prickly Heat Baby Powder has a goodness of Neem and Khus grass, it provides relief from prickly heat and protects skin from infections. The ingredients work together to keep your baby's skin cool. Keeps skin dry, fresh and cool. Neem has antimicrobial, anti-inflammatory and antioxidant properties, which protect baby's skin from infections, rashes and inflammation. Khus Grass has antiperspirant and astringent properties, which keep baby's skin fresh all day. Natural Zinc contains antiseptic properties and has traditionally been used as a wound healing agent. Explore the entire range of Bath Time available on Nykaa. Shop more Himalaya products here.You can browse through the complete world of Himalaya Bath Time .Alternatively, you can also find many more products from the Himalaya Baby Care Prickly Heat Baby Powder range.